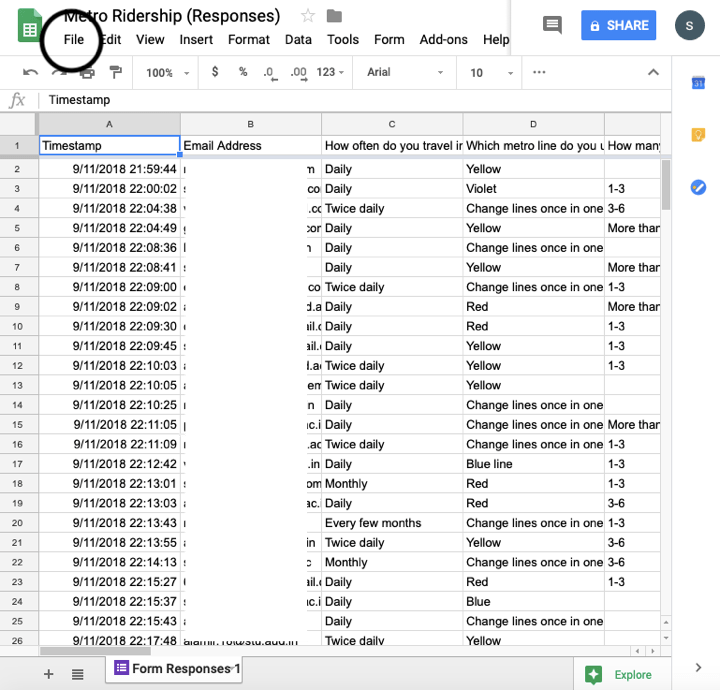 Are you working in a team on a shared Spreadsheet, Docs or Slide file? It is very difficult to trace When or who has edited/made changes in the shared file. 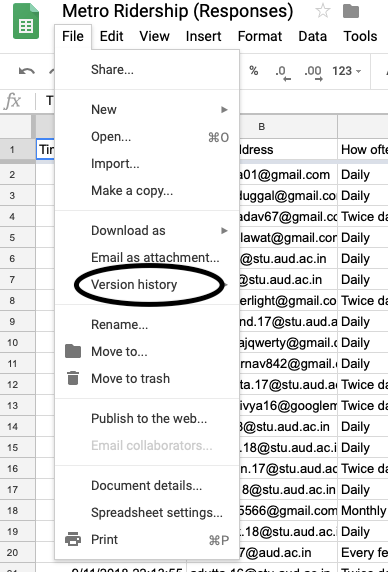 But Do not worry, Google gives you an option to see the Version history of Google Spreadsheets, Docs, and Slide files. If you have permission to edit the file, only then you can see the recent changes or version history of that file. If you have only ‘Read/View‘ Access, then you can’t see the previous versions. 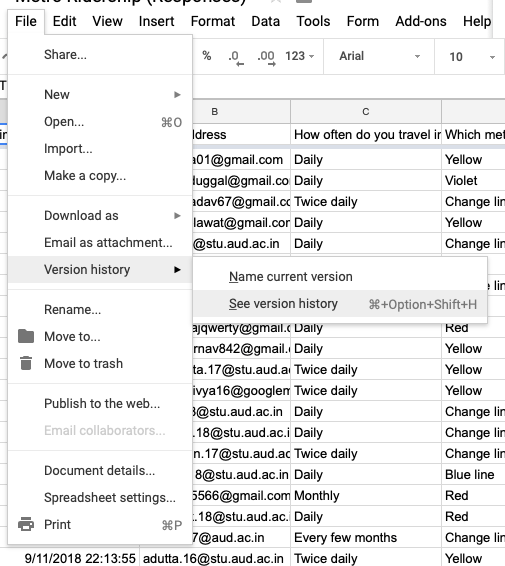 Let’s check out how to see recent changes to your Google Spreadsheet, Google Docs, and Google Slides files. Step 1. Open the Google search engine in your browser. Step 2. 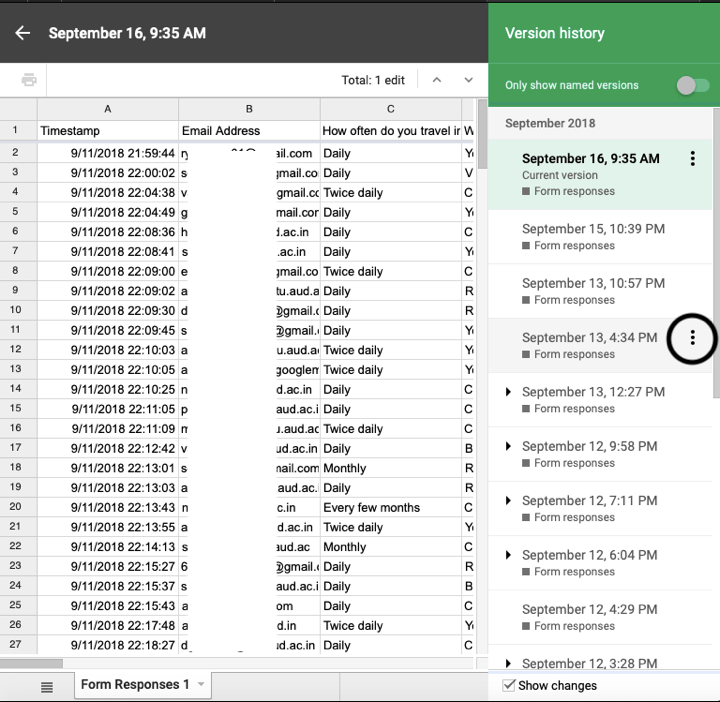 Log in to your Gmail account if you are not already signed in as Google Spreadsheet is linked to your email account. Select the ‘Gmail’ link in the upper right taskbar to be redirected to the login page. Step 3. Next, go to Google Spreadsheet. This can be done either by directly searching for it in the Google search bar or accessing it through Google applications. 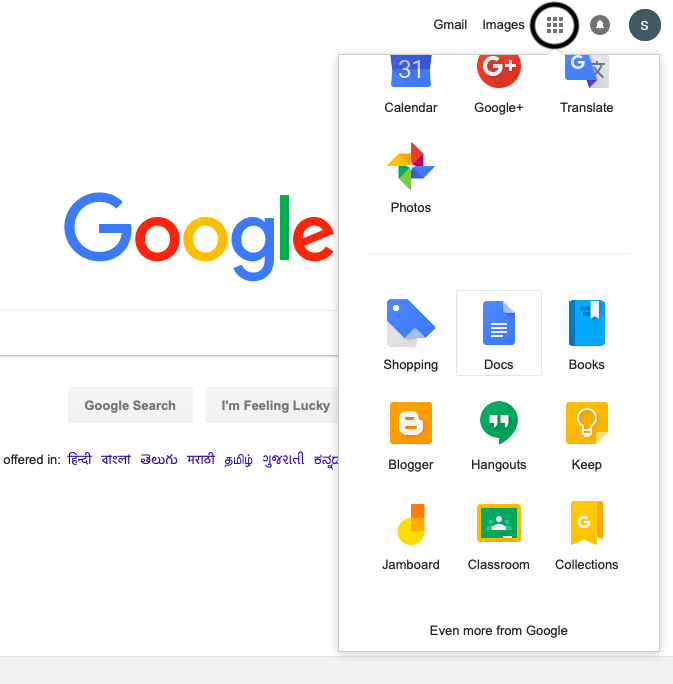 To do this, click on the Docs icon on the Google homepage. Step 5. Once your account opens, notice the ‘File’ button in the top left side of the page, right next to the Sheets icon. Step 6. Click on the button for a drop-down menu to unfold. Step 7. 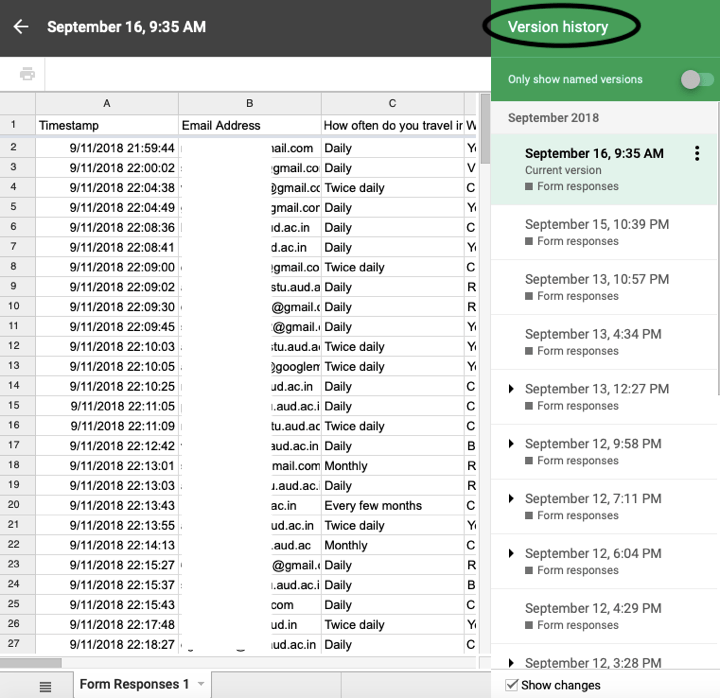 In this menu, look for the ‘Version History’ option. You should find it somewhat in the middle. Step 8. On selecting this option, another sub-menu will appear. 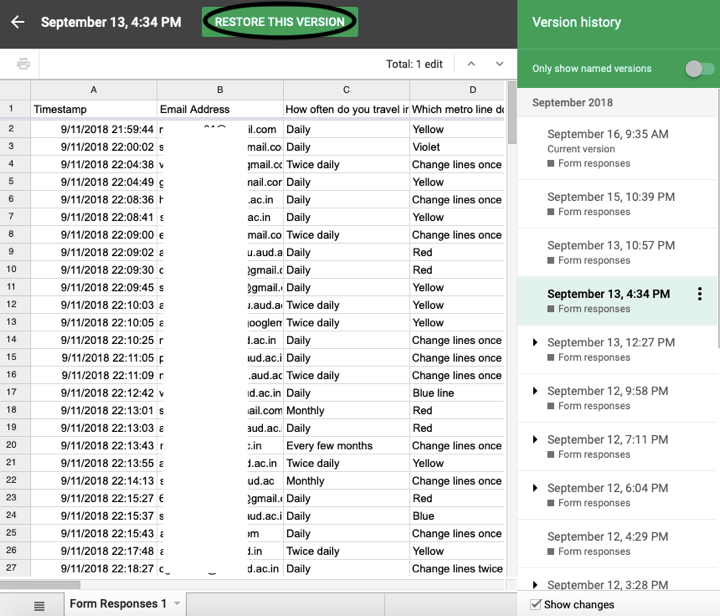 In this section, choose the ‘See version history’ option. Step 9. A new page will open up in your Sheets account. While the file opened will be the current version of it, you will see a list of past editions under the ‘Version history’ column on the right. Step 10. Your recent changes will be ordered, by default, according to date and the person who edited the document will be mentioned. In this case, since no second party was allowed access, no names show up. Select the version of the document you want to view by clicking on the encircled icon. Step 11. The required version of your spreadsheet will open up and the editions made in the document by the mentioned person will be highlighted. 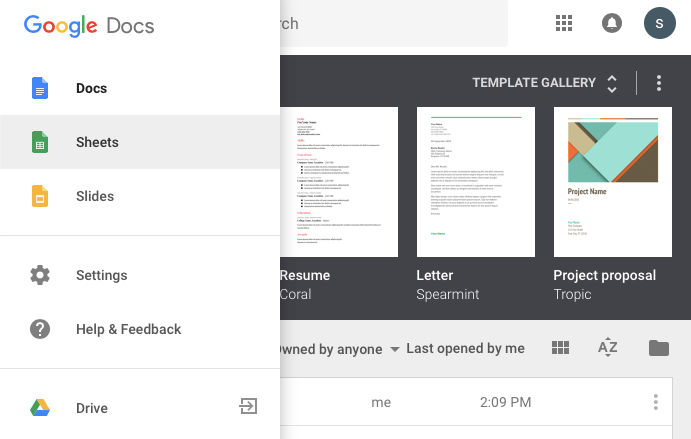 This is how you can track changes in your Google file. You can make this version the current version by clicking on ‘Restore This Version’ button.